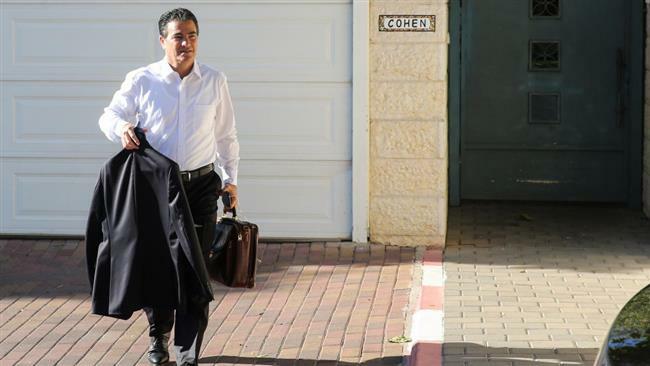 The director of Israel’s Mossad spy agency, Yossi Cohen, has secretly met with US President-elect Donald Trump’s transition team, according to reports. Ron Dermer, Israel’s ambassador to the US, was also present at the meetings, where the two sides discussed a range of issues including the Iran nuclear deal, the ongoing conflict in Syria, and the Palestinian-Israeli conflict. Trump’s team was also briefed by the Israeli side on an upcoming regional conference in Egypt as well as a UN initiative put forth by Palestine and New Zealand. Officials from the Israeli regime have also asked the Republican president-elect to oppose a Palestinian initiative submitted to the UN Security Council, which would be critical of Israel’s illegal settlement activity. Trump has already spoken in favor of the Israeli settlements since his election on November 8. It was revealed on Sunday that he has even donated $10,000 to one of the illegal projects in 2003. The administration of outgoing US President Barack Obama has indicated that Washington would not veto a resolution in this regard under certain conditions. The proposal is expected to be introduced at the UNSC before Trump’s inauguration on January 20. Pro-Israeli politicians inside the US have advised Obama against taking any last-minute actions to undermine Israel. The news of the high-profile meeting surfaced days after Trump nominated David Friedman, a hardline Zionist, as US ambassador to Israel. The strategic choice would likely pave the way toward a controversial decision to move the US embassy from Tel Aviv to Jerusalem al-Quds. Kellyanne Conway, Trump’s top aide, has emphasized that the move is a high priority objective of the New York businessman’s administration. The Trump administration is expected to be profoundly negative for Palestinian aspirations while buoying Israel’s confidence.